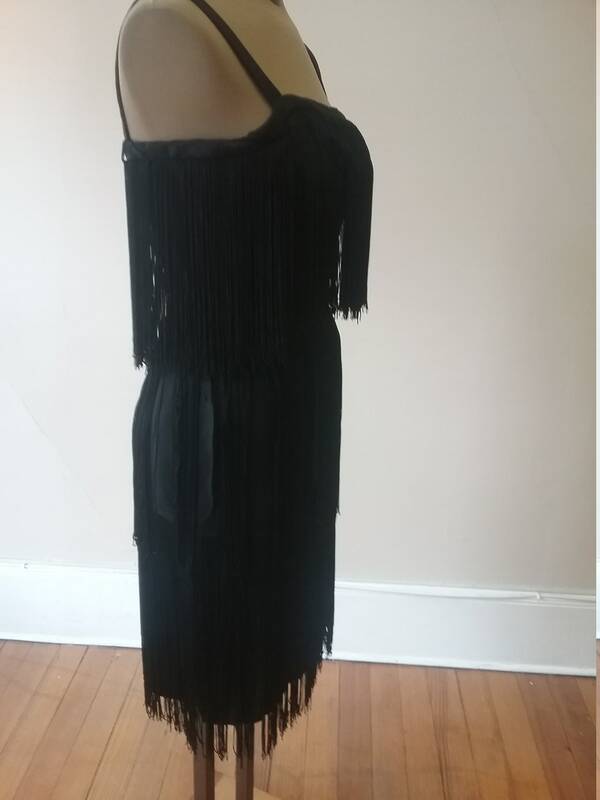 1950's, 34" bust, 3 tiered fringed black crepe sheath ( a la 1920's). 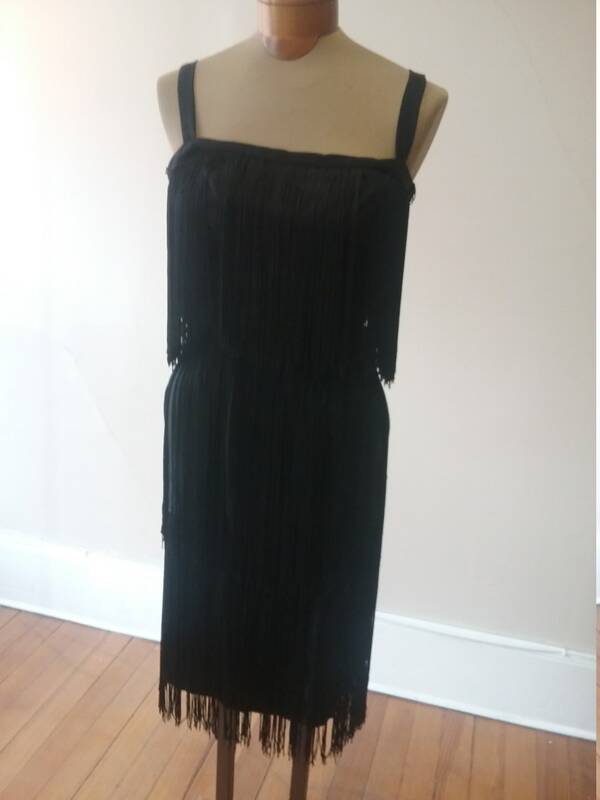 Shoulder straps and wide neckline. 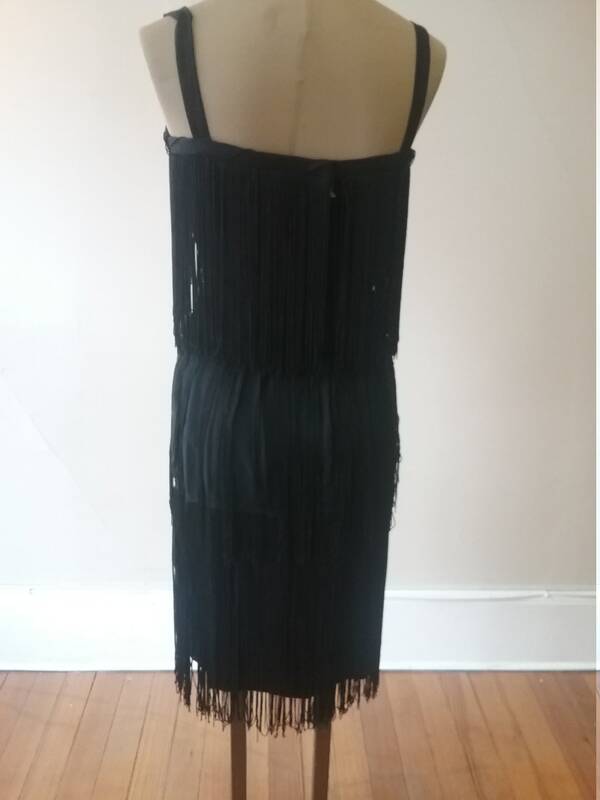 Long zipper fasten dress in back. 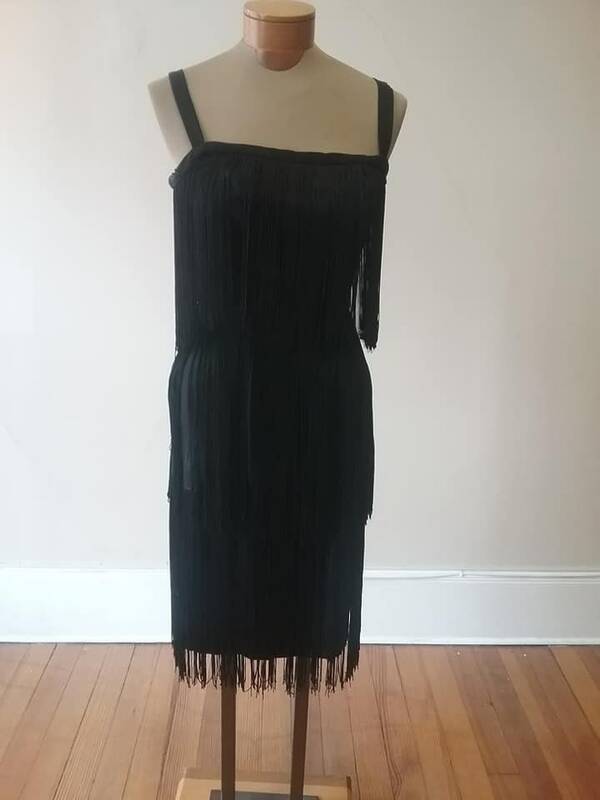 Label reads " Mardi Gras".